This Tardiana-type seedling was registered by the British Hosta and Hemerocallis Society (BHHS) on behalf of English hybridizer, Eric Smith. 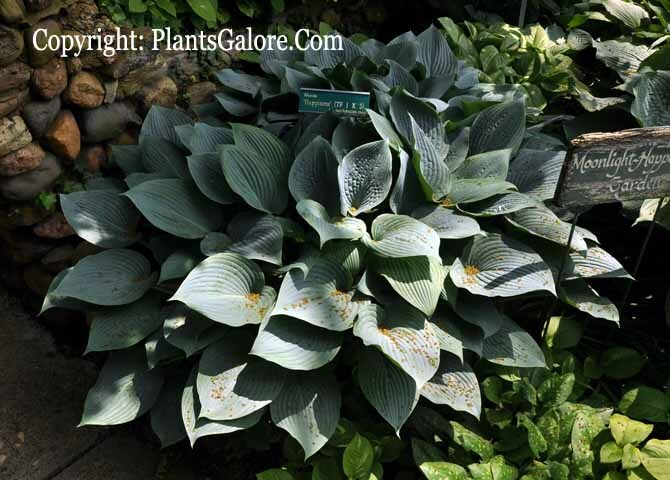 It forms a medium size (18 inches high) mound of deep blue-green foliage. Pale lavender flowers bloom from late July into August on purple dotted scapes. An article titled H. 'Lapdance' versus H. 'Lap Dance' by Joshua Spece in The Hosta Journal (2008 Vol. 39 No.2) pointed out that Greg Johnson registered a hosta called H. 'Lap Dance' in 2004. It is a miniature seedling of H. 'Happiness' with narrow leaves that grow vertically. The color is blue-green with a lighter blue-green center. A sport of H. 'Striptease' from Steve Karbula has been given the name H. 'Lapdance'. The registered version is the officially accepted name and H. 'Lapdance' would probably have to be renamed before registration." Similar cultivars include H. 'Aunt Bea'.